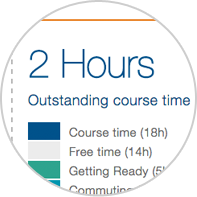 Taking on a post-graduate online course can be demanding on modern lifestyles. 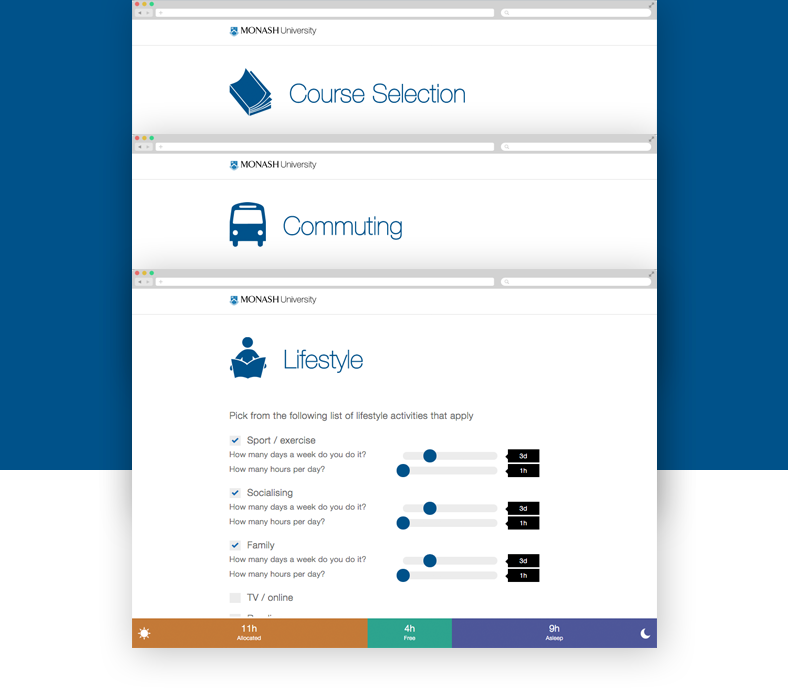 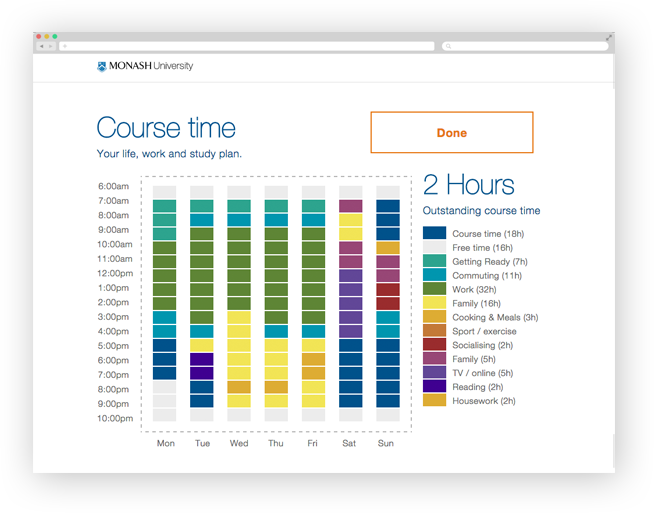 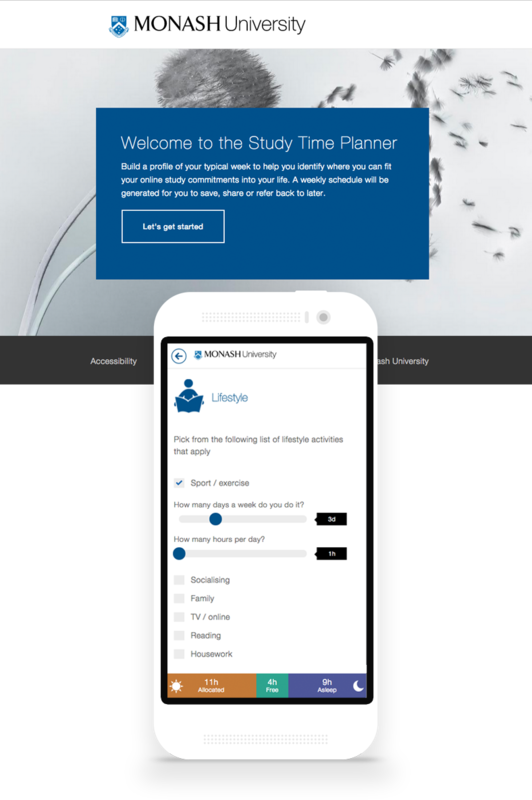 Our Study Planner, developed for Monash University Online, guides prospective students through mapping out their current work and life commitments before helping them work out a plan to fit in course study commitments. 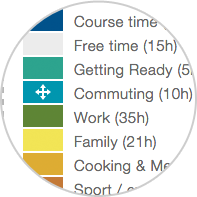 … and visualise your typical week.